30th and Grand, 600 Shadle Center, Dishman, Wash. Pullman, Wash. 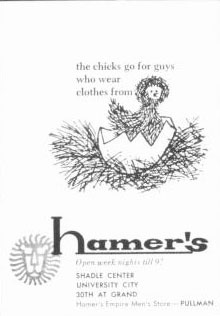 The chicks go for guys who wear clothes from Hamer's. Open week nights til 9! Shadle Center, University City, 30th and Grand. 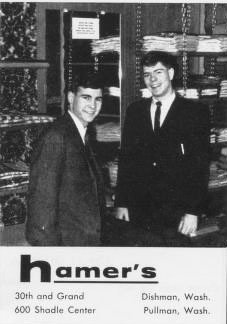 Hamer's Empire Men's Store - Pullman.